It has been nearly 2.5yrs since my last visit to Bangalore, and that was also a short one. I remember having a full day meeting in Coimbatore, and from there heading to Bangalore for few days with friends and family before getting back home. Well, this time it was a short trip,but must say it was a good one at that. Lal Bagh gardens clicked during one of my earlier visits.. 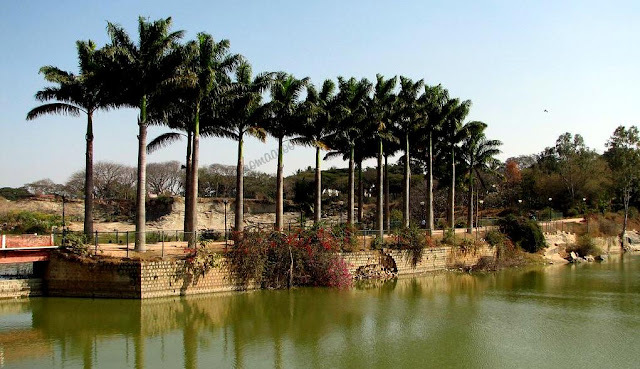 I spent a lot of time walking around the hotel we stayed at, it was down the road from Lal Bagh gardens, a km maybe.. The area was fairly quiet, there was a children's park next door, the lal bagh wall across the hotel and was generally nice to wander in. Overall, must say it was one helluva trip~ Until next time..